PRO was present at the United Soccer Coaches Convention in Chicago between January 10 and 12. 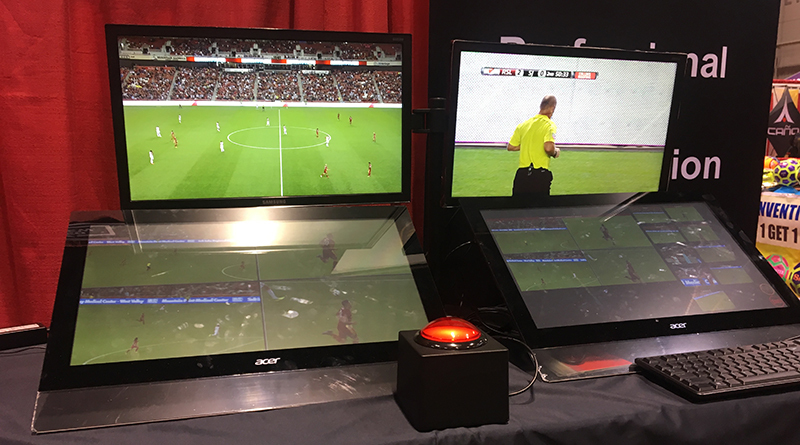 In addition to MLS Cup referee Alan Kelly and PRO GM Howard Webb delivering insightful sessions about refereeing in the modern game, PRO’s booth was one of the main attractions. Providing visitors with the opportunity to try their hand at the controls of Video Review, as well as calling offsides in our perception test, proved to be a big hit with delegates including coaches, media, speakers, fellow exhibitors, and former players – one of which was an ex-English Premier League star – see if you recognize him from the photographs in our Facebook album. See you in Baltimore in 2020.